The Portable Baptistry™ is the truly portable baptistry. Easy to set up in less than 30 minutes, the portable baptismal pool holds 3 people for traditional, standing, full-immersion baptisms like built-in baptistries, but is 100% portable, not just 'moveable' as with single person, 'boxy' baptistery tanks on wheels. Contemporary and elegantly designed for beautiful baptisms anywhere, anytime, the Portable Baptistry™ eliminates the costly expense, space commitment and maintenance upkeep that is required with permanent baptismal pools. 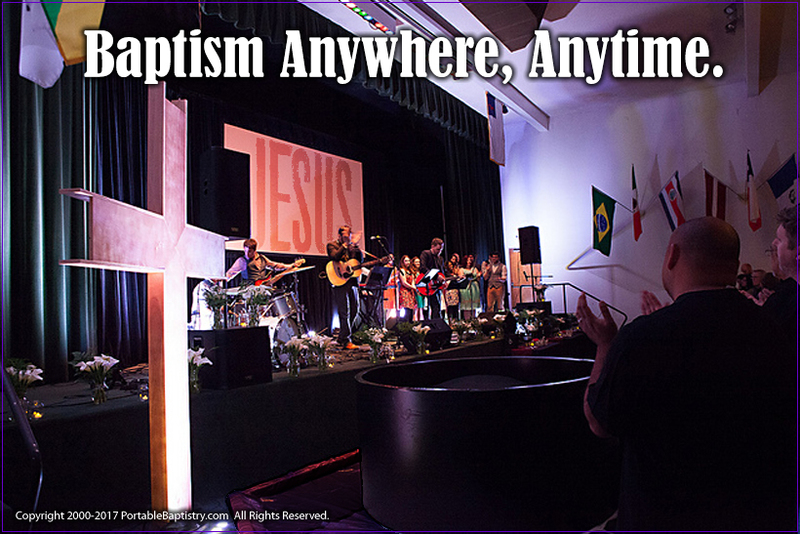 The state of the art, sectional structure of the Portable Baptistry™ is one-of-a-kind. It fits thru any doorway size, allowing for convenient setup indoors or outdoors by one person, upstairs or downstairs, in just minutes. The baptisteries patented modular sections are light weight (just 20lbs. each), yet remarkably sturdy, and compactly store away when not in use. Furthermore, portable churches and church plants will find the Portable Baptistry™ the perfect baptism solution for transporting to and from location in a mini-van, small truck or trailer. Available in your choice of decorative Motif colors (patterns), the Portable Baptistry™ will complement any worship facility decor. 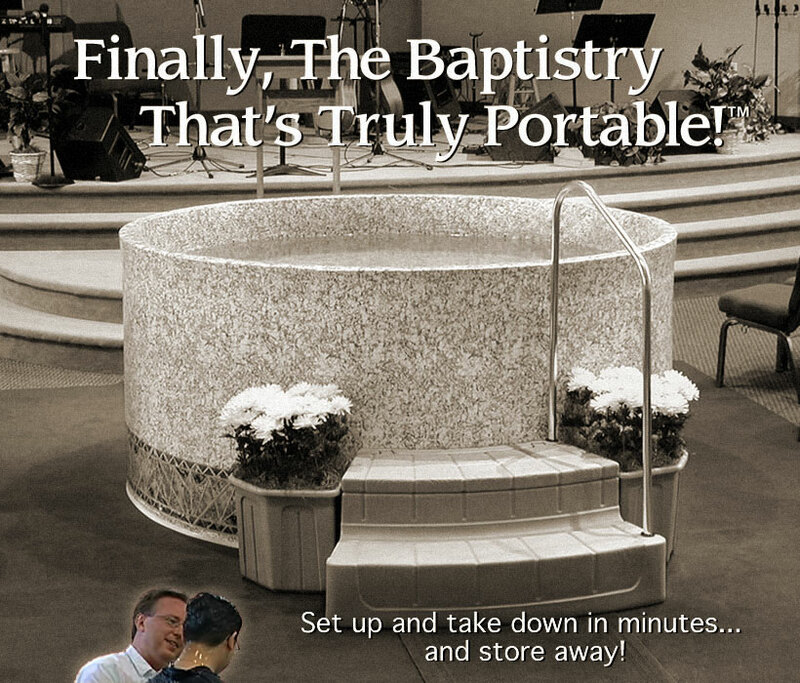 Enhance your ministry with the Portable Baptistry™. PortableBaptistry.com also offers a complete line of baptistry accessories including: Baptistry Heaters, Splash Pads, Splash Guards, Sanitizer Solutions, Baptismal Steps and Handrails, and much more.